Welcome to another of my occasional series where people in the book world share their stories of how their dreams came true! 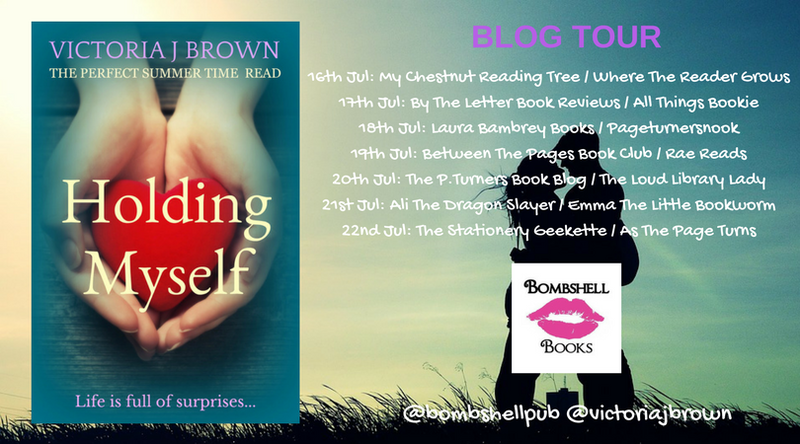 Today it’s the turn of author Victoria J Brown who has just signed for Bombshell Books. Firstly, can I say a huge thank you to Joanne for letting me tell my story and hopefully inspiring some of you to, never give up! I’ve always enjoyed writing, reading and telling stories. Even at the age of nine years old when I was asked what I wanted to be when I grew up, I’d said, ‘an author’. I just loved the feeling of getting lost in a book from such a young age, entering a different world and enjoying the journey that the author had created. From the beloved Enid Blyton, with her tales of the Enchanted Wood, The Famous Five and The Secret Seven, she definitely influenced my early years. I haven’t met an author yet who didn’t admire Roald Dahl as they were growing up and I love nothing more than seeing my own children enjoy his stories. But one of my ultimate favourites was the Nancy Drew Series. I remember the excitement of the trips to the library and taking out as many books as I was allowed. I would then spend hours devouring the adventures. This love of books continued into my teen years and when I discovered my own love of storytelling, there was no stopping me. I, like many authors, have notebooks filled with stories. While my friends played outside, I’d be scribbling about my latest plot. As I became older and life took over; exams at school, college, university, work, marriage and the birth of my two gorgeous girls, my writing took a backseat. But, I could never let go of the dream that one day I would become a writer. Anyone who has a passion, it’s a need that eats away at you. So no matter what you do with your life, what career path you take, it’s there … always; a need that must be fulfilled. When my girls were three and one years old, I felt life was taking over me. We’d had so much go on and it wasn’t enjoyable, I can tell you. There had been family fall-outs, a move into my in-laws home when I was pregnant with my 2nd daughter, my husband’s thriving business taking a turn for the worst, his own mental state not great in this period and after being diagnosed with bi-polar, it was at this time he had a severe mental breakdown … this time of my life was a huge turning point for me. It was at this point that I realised I was angrily asking WHY? WHY ME? Everything we touched seemed to fall apart … it was not a good place to be. I also realised I’d always been a, ‘why me’ person. I knew this was because I wasn’t fulfilling my dreams and my goals, but instead of getting my finger out and moving my life forward, I was letting life happen to me. While it was happening to me, I was complaining … even about the little things … so the more I complained, the more things I had to complain about! However, when I say, I am truly thankful that these things did happen; the big things that totally shifted my life, I truly mean it. In the midst of this life change I was introduced to the ‘The Secret’ written by Rhonda Byrne. I watched the DVD and it suddenly all made sense – life made sense. The Law of Attraction works. I believe it so much that I am now a qualified Law of Attraction and NLP Practitioner. I use these beliefs in my writing to help others. In this stressful period I started to collect inspirational quotes and actually made my own daily inspirational books. I truly believe such messages, if read often enough, can truly help anyone. Once I learnt the skills to manifest and visualise what I wanted, my life started to move forward. Rapidly. 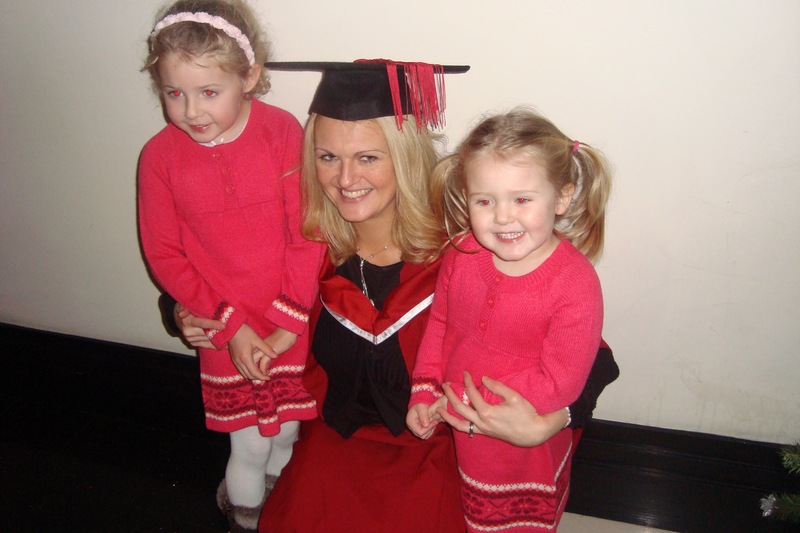 When my girls where 4 and 2 years old, I enrolled on a MA in Creative Writing at Teesside University, full of determination and power. 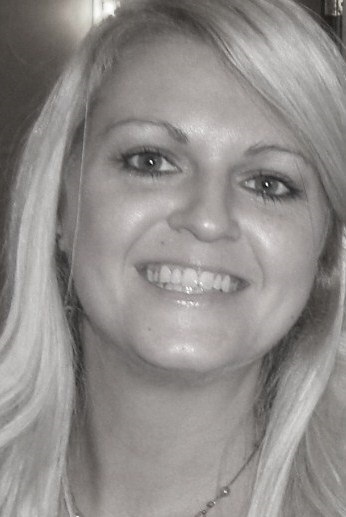 I was working part-time, was a full-time mummy, supporting my husband with his health (plus, his business which we’d had to let go) and not only did I achieve my MA, I won a short-story competition judged by Adele Parks. I was making my life happen for me, not letting it take over. It was throughout this time that not only watching, listening and learning about anything inspiring, but also my writing that helped me. It has always been my therapy, so whether I create a story or just off-load onto a piece of paper, it makes me feel better. 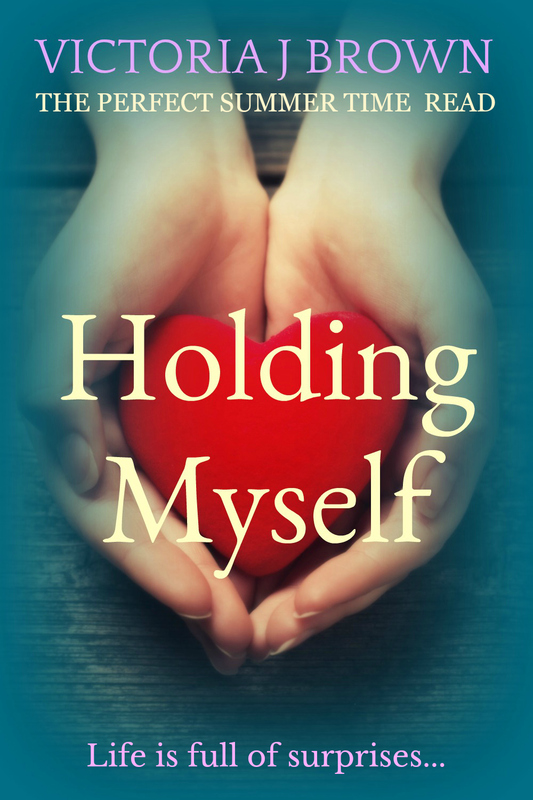 My novels have been very therapeutic for me to write, as they relate to real-life issues and my aim is to connect with my readers emotionally. It was my love for all things inspiring and therapeutic writing that I decided to created an inspirational blog and centre it on therapeutic creative writing. I want people to feel the love that they deserve, give love to others as much as they can and be grateful that they are alive and have the choice to move their lives forward. This can be hard when challenges are put on our life path, or when life feels as if we’re walking through thick treacle, but if you were to choose to see the positive in all challenges, life can only move forward. My blog helps people to understand this, while given therapeutic writing exercises to help develop the skills to live an inspired life. I never gave up on my dreams of becoming an author, so when I received the email from Betsy at Bombshell Books, I knew everything I believed in was true. The universe works in miraculous ways. I also believe this has happened in my life at the exact right time. I have learnt so much about positive thinking and giving love always that I felt like the luckiest person alive when that email came through. My message to anyone is to follow your heart. Your heart is telling you what your passion is; what your soul is here to do. Never give up. Even if it takes time, small steps count. The time is passing anyway, so make your dreams come true. I will be eternally grateful to Betsy and the team at Bombshell Books for believing, supporting and encouraging me. I am so blessed to be involved with such an amazing company. 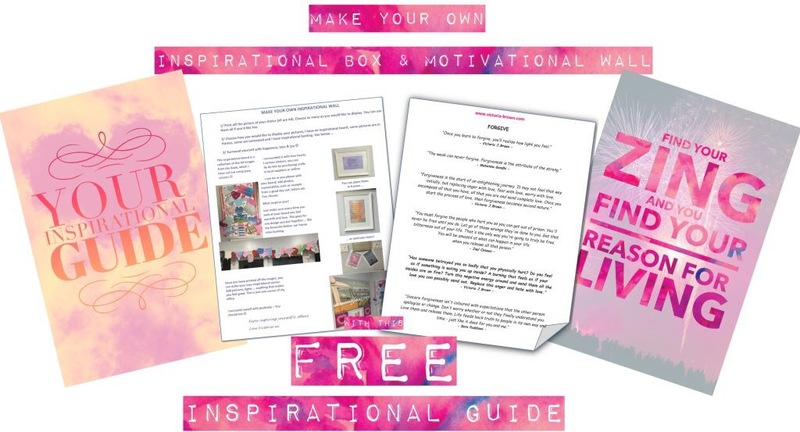 If you would like to take a look at some of my creative writing exercises, please visit my website http://www.victoria-brown.com and you can also download your own free inspirational quotes book. You can also see my new range of online inspirational clothing. My aim is to spread as much love and inspiration as possible. As I am absolute proof that changing your mind-set and changing your thoughts will change your life. Happiness rules! This is lovely. Wishing you the best of luck Victoria.